Finally, catching up on more results from last weekend. 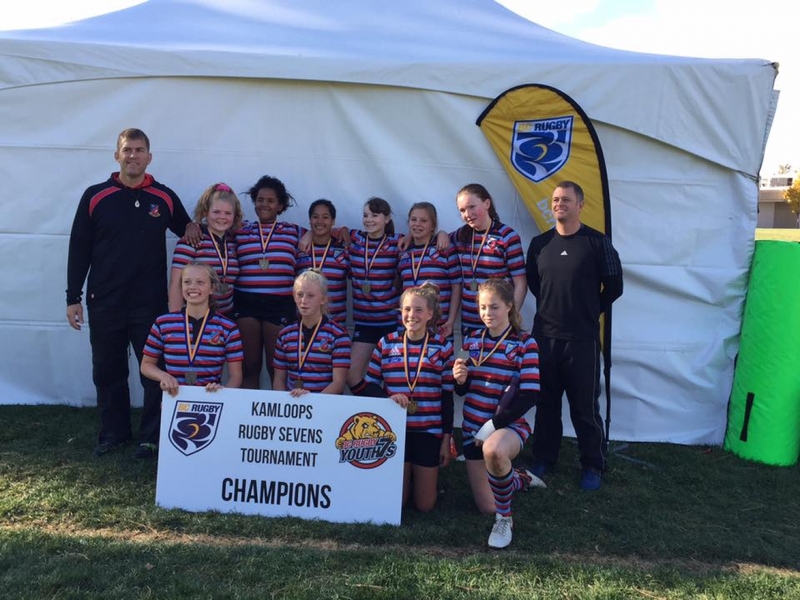 Kamloops RFC hosted a mammoth sevens tournament for B.C. Youth. CW Girls made up the South Island #1 team that won the U14 title and others joined Westshore girls to place third in this pool. CW U18 Elite Girls finished in second place, also an excellent result. The Ruggernut congratulates all players, coaches and parents who made this demanding road trip and ‘onya, Kamloops Rugby. From afar, news that Sophie DeGoede (OAU Rookie of the year), Camille Irvine (Sophomore) and Sofie Kennedy (Sophomore), were members of the Queens U. team that was nipped by Guelph in OAS competition. Queens will go to the National Championship, an event that will more than likely not see our local UVic Vikes in attendance as they lost to U of C in the late going, leaving them in second place and since Lethbridge are hosting the event there is likely, no room for the Vikes. 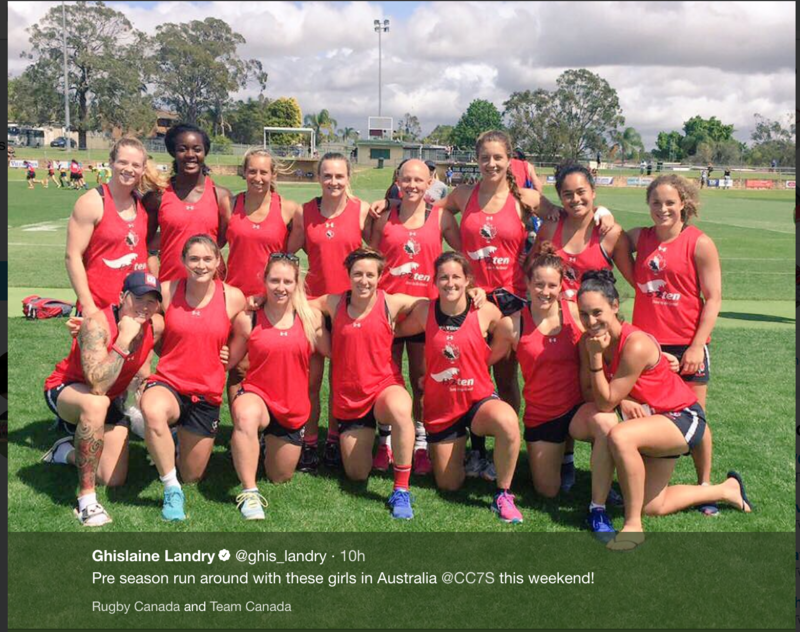 Also, we have Caroline Crossley in action this week with the NSWT 7’s at the NSW Central Coast 7’s in Aussie. John Tait has used this opportunity to “warm up”, (pun not intended), for the upcoming HSBC 7’s Circuit. Canada placed third last year and will be looking forward to improving on this performance. And another segment of Where Are They Now? This week we highlight UBC’s, Jim Carson. Jim started his rugby pathway at the House of Windsor at a very early age, under the support and tutelage of his dad, Jim (Sr). Junior was an outstanding youth player, on teams with his cousins, I seem to recall at least one or two VIRU Championships and maybe a B.C. Title or Runner-Up? Jim’s mum, Bernadette was also a “super mum”, willing to take on any task to support our mini and youth programs. Thanks, Bernadette. Jim has followed his dad’s footsteps at UBC where he is studying Applied Science. Senior was an outstanding rugger, playing mostly lock and starting with The Birds in his second year. As he enters his final year, J. Jr (“J.J.”?) has proven to be all class, given the game reports we read and he is in the same mould as Senior, one tough opponent. He was elated to score a try in his Homecoming return to Windsor last season and will no doubt, once again, give Polson and Chisholm all they want on Saturday. We welcome yet another NSMT’s coach to our fair city with the arrival of Kingsley Jones. 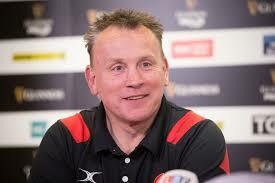 Jones will be tasked with first and foremost, getting our NSMT to the 2019 RWC. To do that, the boys must defeat an ever improving Uruguayan team in a home and away, total-point series. Prior to that, he will get a good look at available talent with “tests” against the NZ Maori in Vancouver on November 3rd, followed by games in Europe against Fili, Georgia and Spain. The first of the home-and-away will take place in Vancouver on January 27th at B.C. Place. CW wishes the new coach all the best.